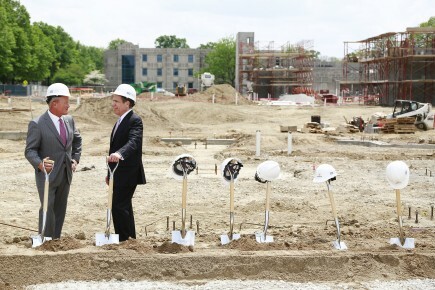 On Friday, May 8, Butler University will celebrate the groundbreaking of the Sunset Student Residences, a state-of-the-art, 633-bed sophomore residence hall that will substantially modernize and update Butler’s housing options. 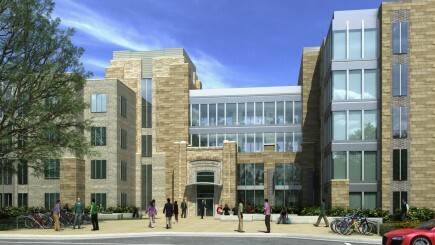 A ceremony will begin at 2:00 p.m.
“The addition of this new facility and future renovations is a critical step toward advancing Butler’s educational mission through superior campus amenities, and the ultimate realization of Butler’s 2020 Vision as an innovative national leader in undergraduate residential education,” Butler President James M. Danko said. 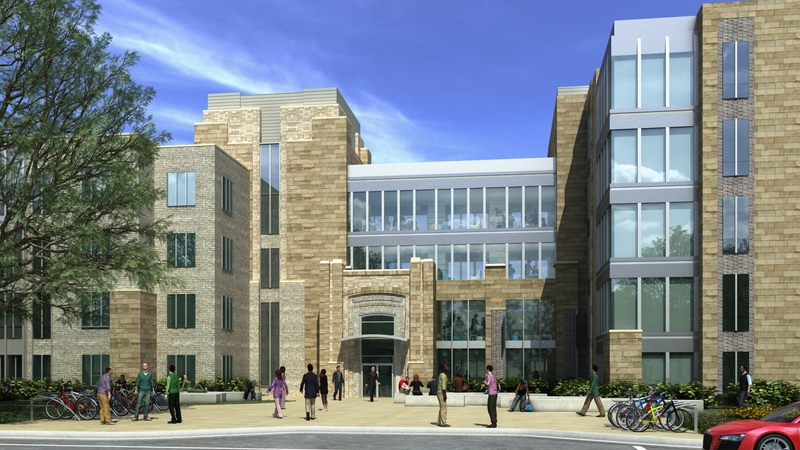 New construction and renovations, a plan to eliminate greenhouse gases on campus, and three students earning Fulbright Awards are among the highlights of Butler University’s 2014–2015 academic year. While there was sad news, too—the deaths of former University President Bobby Fong and former student Abdul-Rahman Kassig—the year was overwhelmingly positive. -The Irwin Library faculty and staff unveiled several changes in the facility, including added study space, collaborative workstations, and a new catalog that allows a worldwide search for materials. Dean of the Libraries Julie Miller said the updates are part of the changing role of the academic library. Where libraries used to be largely about the circulation of books and periodicals, they are increasingly becoming a place for collaboration. 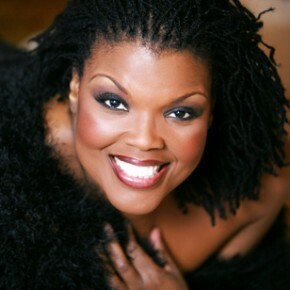 -Renowned opera singer Angela Brown joined the Jordan College of the Arts as a visiting artist in the School of Music for the 2014–2015 school year, presenting master classes, lectures, and performances. The Indianapolis native was at Butler twice each semester to talk with students individually and collectively about performing and lessons she’s learned in the entertainment business. -The annual Bulldogs Into the Streets brought out about 545 student volunteers, who donated their time to 19 agencies across the greater Indianapolis area. The students gave 1,500 hours of community service. -Butler University welcomed 974 first-year students on move-in day Saturday, August 23. The incoming students had an average GPA of 3.52, an average ACT of 27, and an average SAT of 1190 without writing and 1750 with writing. The class also included 11 Lilly Scholars, three National Merit Semifinalists, and one National Achievement Semifinalist. They came from 37 states and six countries. Marianne Richardson ’14 became the first Butler student to be selected for the prestigious Princeton in Latin America (PiLA) fellowship in Uruguay. Richardson, who graduated with a degree in International Studies and Spanish, left on September 9 for Montevideo, the large metropolitan capital of Uruguay, which became her home for the next 10–12 months. She worked in institutional development at a nonprofit education center for children and adolescents called Providencia. 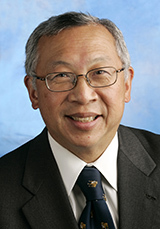 -Former Butler President Bobby Fong died in Collegeville, Pennsylvania. Butler’s President from 2001 to 2011, Fong had just begun his fourth academic year as President of Ursinus College there. 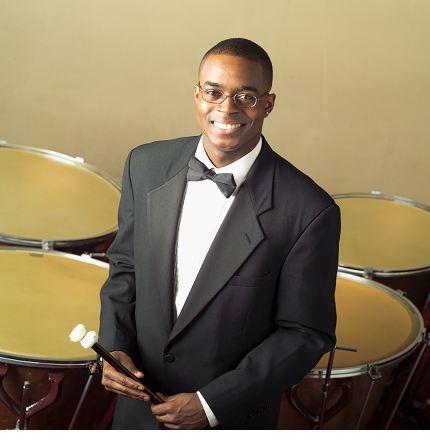 A celebration of his life was held at Clowes Memorial Hall on September 28. -Butler University’s College of Education introduced Jill Jay as the new Director of the Experiential Program for Preparing School Principals (EPPSP) and Katie Russo as Director of Student Personnel Services and External Relations. 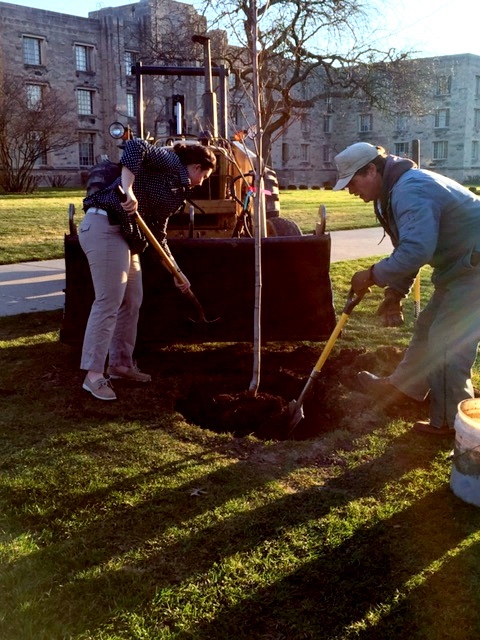 -Forty years after they were married in Holcomb Gardens, Sharon Leininger ’70 and Michael Nemeroff returned—this time to plant a Japanese maple tree to commemorate their anniversary. The Nemeroffs made a gift to Butler in honor of their day. -Butler University unveiled a new memorial to its bulldog mascots at the Butler Bowl entrance. The memorial, which was adopted as a project by the Class of 2013 and became its official class gift, features a custom dog house/columbarium (urn storage) for each dog’s remains and a bronze bulldog sculpture, crafted in Blue II’s likeness. -The University broke ground on a 1,038-space multi-use parking facility located on the lot behind the Howard L. Schrott Center for the Arts along Sunset Avenue. Construction of the five-story parking structure, which is anticipated to open in August 2015, began in the fall. The multi-use facility also will include approximately 15,000 square feet of commercial and office space on the ground level. -The Center for Urban Ecology was awarded a $10,000 SustainIndy Community Grant to continue and expand Make Change, a neighborhood-based currency program that generates “credit” for doing good for the environment. Through Make Change, each hour of activity a person does is worth $10 in aluminum coins specially created for this program. Coins can be redeemed at locations including The Children’s Museum of Indianapolis, the Good Earth, and Broad Ripple Brew Pub. 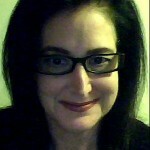 -Loni Smith McKown, professional practice faculty in Butler University’s Eugene S. Pulliam School of Journalism, received the College Media Association’s 2014 Honor Roll Award for newspaper advising at a four-year college or university. The award was presented at the National College Media Convention in Philadelphia. 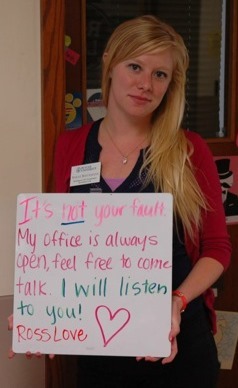 McKown has served as adviser to The Butler Collegian since fall 2010. -The University unveiled a plan to eliminate greenhouse gases produced on the campus by 2050. 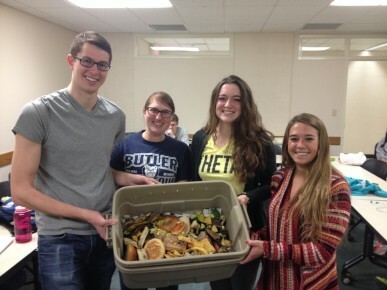 The Butler University Sustainability and Climate Action plan (BUSCA) includes a variety of strategies, such as energy efficiency and conservation measures, transportation strategies, long-term plans to incorporate renewable energy, and a goal to become a “zero waste” campus. The plan also includes water saving and reuse strategies, sustainable procurement policies, and an emphasis on local food. 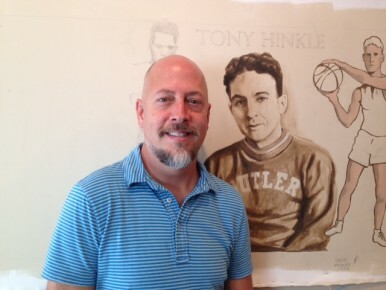 -Artist Jon Edwards’ mural depicting the illustrated history of Butler University was put up in the Wildman Room at Hinkle Fieldhouse. His work covers 10 canvases that are 28 inches high and a total of 120 feet in length. -Butler University was among a select group in the six-county Central Indiana area that has earned the “Company that Cares” distinction for results during the 2013 United Way of Central Indiana annual workplace campaign. -Author Michael Martone made an endowed gift to Butler University in honor of his parents, Patricia ’53 and Anthony Martone, to support undergraduate English majors as they travel to conduct research and publish work about the State of Indiana and its citizens. -School of Music Adjunct Professor Anna Briscoe kicked off a partnership between St. Vincent Heart Center and the Jordan College of Arts’ School of Music in which faculty and student musicians play informal lunchtime concerts at the Heart Center each week to share the power of music for healing and relaxation. -Sophomore Matthew VanTryon, the Butler Collegian’s sports editor, won a first-place national Pinnacle College Media Award for best sports investigative story for his series about former Butler women’s basketball coach Beth Couture and allegations of verbal and physical abuse against her players. Couture was dismissed from the program a week after the original story was published last spring, and the same day that a follow-up story ran. 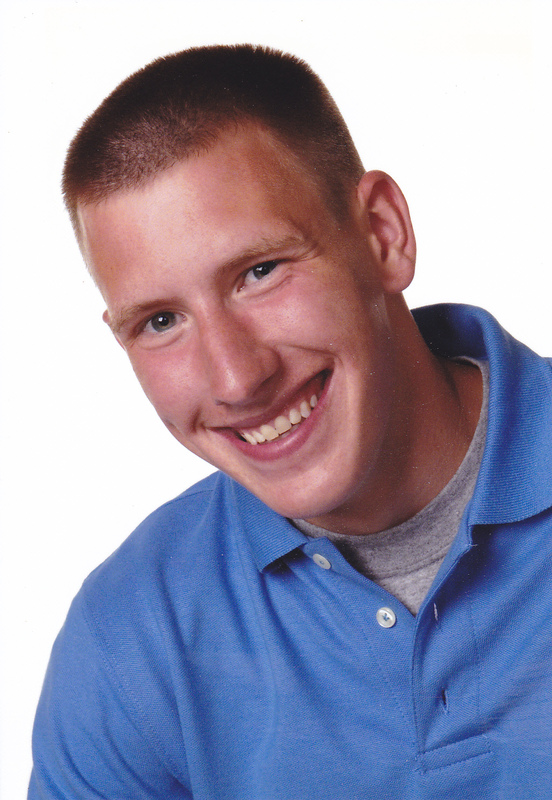 -Abdul-Rahman Peter Edward Kassig, who studied political science at Butler University in 2011 and 2012, was remembered during a memorial service held at Clowes Memorial Hall. Kassig was murdered by ISIS. 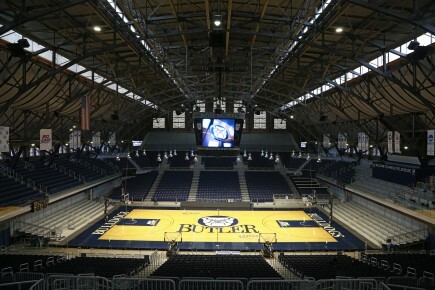 -Fans got their first look at the $36 million renovation of Hinkle Fieldhouse when the Butler men’s basketball team played Tony Hinkle’s alma mater, the University of Chicago, in a pre-season game. For the public, the renovations have meant greater comforts—4,500 new chair-back seats throughout the lower portion of the fieldhouse, a video scoreboard (a first for Hinkle), larger concession stands, additional restrooms, and an expanded gift shop. -Butler University’s Center for Global Education was awarded a grant of nearly $100,000 by the Freeman Foundation to enable students to complete internships in East and Southeast Asia in the summer of 2015. The Center will organize a group experience—Butler Summer in Shanghai—in which 12–14 students will travel with a China-specialist member of the Butler faculty to Shanghai for a six-week program of individually designed internships combined with group excursions and cultural immersion activities. -One hundred fifty-one students became alumni at Winter 2014 Commencement. 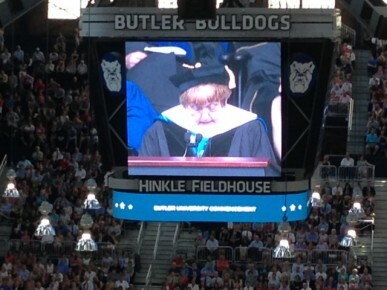 Jauvon Gilliam ’01 and Betty Kessler, who earned her teaching certificate from Butler in 1937, received honorary degrees. -Butler University made Kiplinger Personal Finance’s list of the best values in private colleges for 2015. 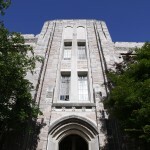 The list, which includes 100 private universities from across the country, can be found at Kiplinger.com/links/college. Butler ranked 60th overall—up one spot from 2014. -Every applicant accepted to Butler received the news from the University’s beloved mascot, Trip, via an email and video. In addition, about 20 prospective students in the Chicago, the Gary area, and Indianapolis regions received a surprise visit from Trip and his handler, Director of External Relations Michael Kaltenmark, who delivered the good news in person. -English Professor Andy Levy’s new book, Huck Finn’s America: Mark Twain and the Era That Shaped His Masterpiece, was released to critical acclaim. -The women of Butler’s Delta Gamma sorority wrote to TV talk-show host Ellen DeGeneres to tell her how they get together at 3:00 p.m. weekdays to watch her show. 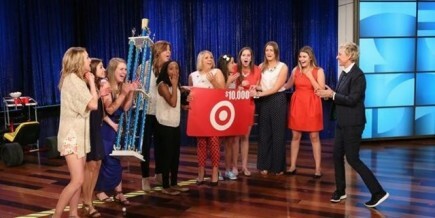 DeGeneres answered their email, surprising them with a Skype phone call and a multitude of prizes. -Butler University announced the hiring of two new vice presidents—Jaci Thiede, Vice President for Advancement, and Lori Greene, Vice President for Enrollment Management. Thiede comes to Butler from Northwestern University, where she was Associate Dean for Alumni Relations and Development at the law school. 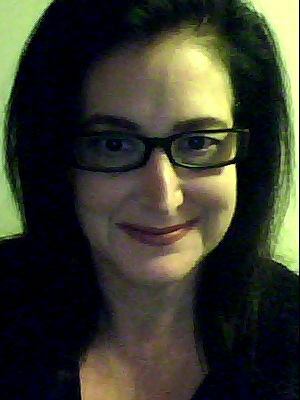 Greene was Director of Undergraduate Admission at Loyola University Chicago. -The College of Education received the 2015 National Model of Excellence awarded by the Association of Independent Liberal Arts Colleges for Teacher Education. The award identifies outstanding programs in professional education that serve as tangible models of quality in the areas of Moral and Ethical Dimensions of the Learning Community; Partnerships; Liberal Arts; and Global Awareness and Action. 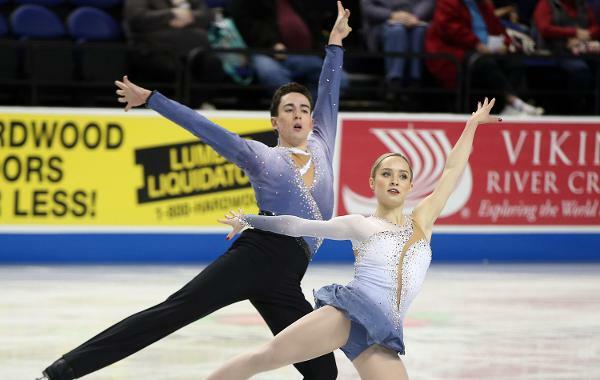 -Butler University student Ernie Utah Stevens ’16 and his partner, Arizona skater Caitlin Fields, won the U.S. National Junior Pair title. They went on to represent the United States at the World Junior Figure Skating Championships in Tallinn, Estonia, March 2–8. -Butler University’s Global Adventures in the Liberal Arts (GALA) program, in which professors accompany students on a semester-long trip, was named one of the top study-abroad programs in the country by bestcollegereviews.org. “This program is perfect for the student who does not want to settle in one place, but wants to experience several cultures,” the website said. While traveling, the faculty member teaches one course, and then students are joined at different locations by other faculty, who teach other courses related to the locale. GALA was ranked ninth. 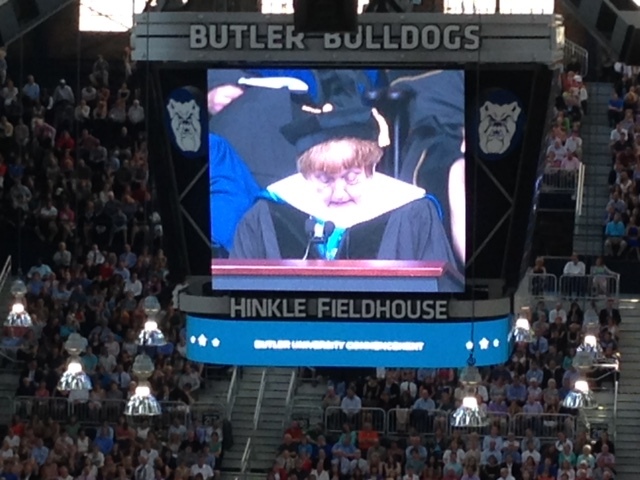 -Elise J. Kushigian, the executive director of Clowes Memorial Hall of Butler University for the past 20 years, announced that she will retire at the end of the 2014–2015 academic year after overseeing more than 8,000 performances. 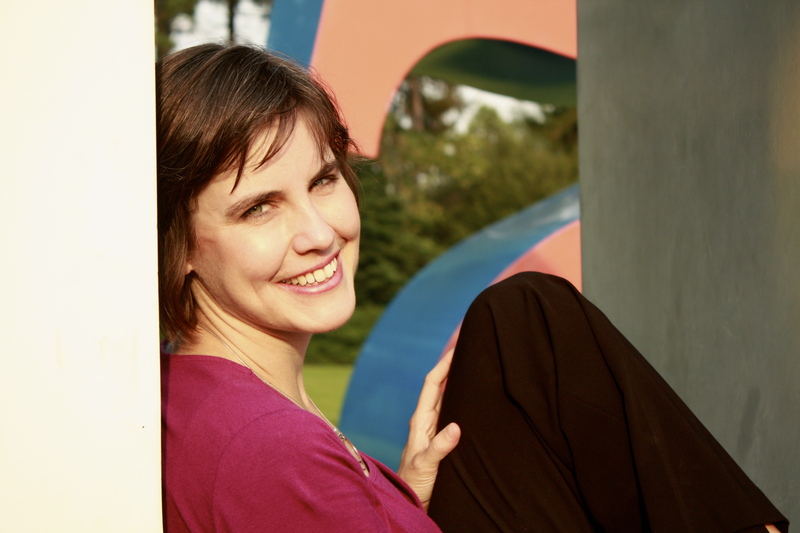 While at Clowes, she built a strong and lasting legacy of innovative programming, groundbreaking education initiatives, and capital projects that have preserved and enhanced Clowes Memorial Hall for the next generation of Central Indiana audiences. -Ellen DeGeneres surprised her friends at Butler University’s Delta Gamma sorority—again. Barely a month after making a Skype phone call to the sorority, DeGeneres flew 10 DGs to Los Angeles to appear on The Ellen DeGeneres Show. -In separate projects, students from several of Butler’s colleges published and are selling children’s books. One, called Max Greene and the Vaccine Team, focuses on educating children about vaccines to dispel fear and anxiety over shots. A second book, The Gifts of Indiana: A Tale of Three Birthdays and One Grand Adventure, aims to introduce fourth-grade students to integral people and events in Indiana’s history, such as Eli Lilly, Benjamin Harrison, Madame C.J. Walker, and the Indianapolis 500. -Four Butler University alumni and an adjunct professor in the MFA in Creative Writing program were among the Indianapolis Business Journal’s “40 Under 40” for 2015. Ed Carpenter ’03, Michael Grimes ’99 MBA ’07, Eric Payne ’98, and Erin Roth ’98—all College of Business graduates—and writer Ben Winters made the prestigious list. -Daniel Meyers was named Director of the Center for Faith and Vocation. A graduate of Willamette University (Oregon) in Biochemistry and Religious Studies, Meyers earned a master of divinity at Yale Divinity School, was ordained in the United Church of Christ, and is currently completing a two-year position as Earl Hall Religious Life Fellow in the Office of the University Chaplain at Columbia University. He will assume the responsibilities of Director on June 1. 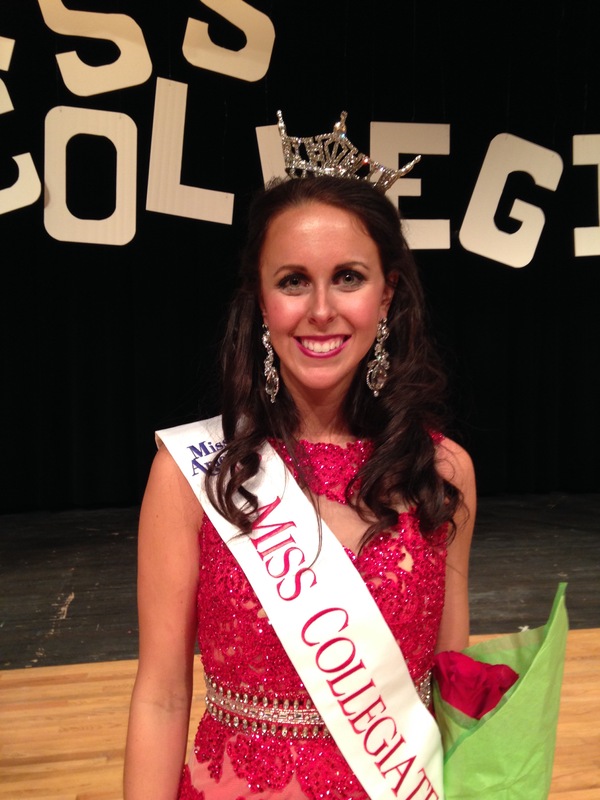 -Senior Michelle Ferro wins the Miss Collegiate Indy pageant. 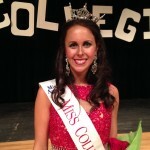 In June, she will compete with about 35 young Indiana women to become Miss Indiana and represent the state in the Miss America pageant. -The College of Pharmacy and Health Sciences announced that it will launch the first student-written open-access multimedia healthcare review journal, BU Well, this summer. The journal will feature articles on pressing health issues such as the overuse of antibiotics and the development of resistance, the push of virtual healthcare and its effect on medical costs, and the rapidly changing future of the healthcare industry. The project was created through a Butler Innovation Fund Grant. -For the third consecutive year, Butler earned Tree Campus USA recognition. The national program, launched in 2008 by the Arbor Day Foundation and Toyota, honors colleges and universities and their leaders for promoting healthy trees and engaging students and staff in the spirit of conservation. The Indiana Wildlife Federation recognized the University as a sustainably landscaped campus. -Men’s basketball coach Chris Holtmann, who guided the Bulldogs to a successful men’s basketball campaign in 2014–2015, was awarded a contract extension. The new deal extends the coach’s contract through the 2020–21 season. -After months of town halls discussions, Butler Marketing & Communications unveiled the University’s new marketing direction, including visual identity, web update, and awareness campaign. -The Butler Collegian was honored with seven Society of Professional Journalists Mark of Excellence Awards, which honor the best in collegiate journalism. -The Butler Journal of Undergraduate Research, a 129-page online publication of college students’ papers on topics as diverse as modern political messaging and James Joyce’s naturalistic evolution, published its first edition on April 1 at digitalcommons.butler.edu/bjur/. The journal was created through a Butler Innovation Fund Grant. -Four students in the College of Business unveiled the “Thringer,” a foam hand with three fingers extended upward, which they developed as part of the Real Business Experience class. The NCAA was so taken with the Thringer that it bought 3,000 of them—750 for each student section—to give to the student sections during Final Four weekend April 4–6. 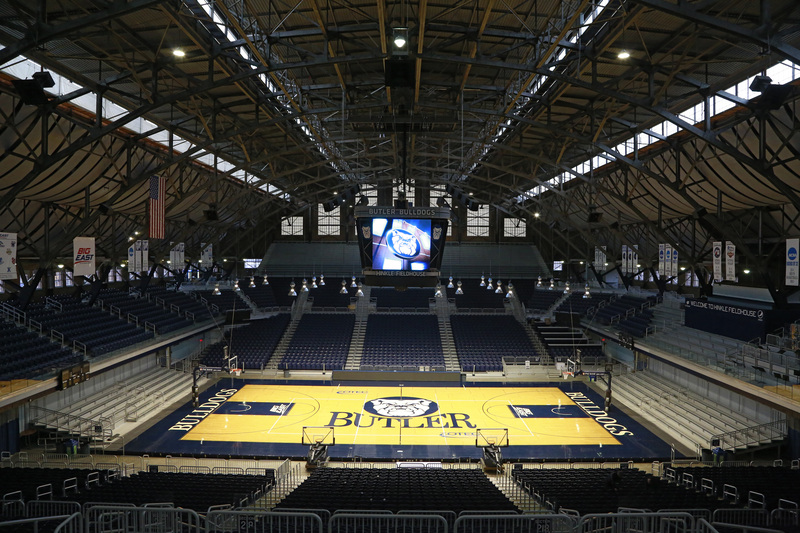 -Indiana Landmarks, a private nonprofit organization that saves historic places, has selected Butler University as the winner of its annual Cook Cup for Outstanding Restoration for its preservation of Hinkle Fieldhouse. The dome of Indiana Landmarks Center’s Grand Hall turned Butler blue when Director of Athletics Barry Collier, Executive Director of Facilities Rich Michal, and Butler Blue III accepted the silver cup. -Thomas Paradis, a Professor and Chair of the Department of Geography, Planning and Recreation at Northern Arizona University, was named Associate Provost for Assessment, Scholarship, and Professional Development Programs at Butler. Paradis, who has been at Northern Arizona since 1997, will start at Butler on August 1. -The Butler Collegian won 13 awards for work published in 2014 from the Indiana Collegiate Press Association during the organization's annual spring convention in Indianapolis. 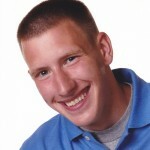 -Blake Moskal, a junior from Lake Zurich, Illinois, was been selected to receive the 2014–2015 John Weidner Award for Altruism. Moskal has been involved in a wide variety of service activities for local and national organizations, including the Intercollegiate YMCA, U.S. Dream Academy, Special Olympics, Gleaners Food Bank and Second Servings, and Methodist Hospital. He has served as a mentor and tutor for Indianapolis Public Schools students, a volunteer coordinator for Fall Creek Gardens, and Service and Philanthropy Chairman for Sigma Nu fraternity. -The University began a yearlong program to compost food waste from its dining halls on Tuesdays and Fridays. Local composting service Green With Indy will pick up all compostable waste and bring it to GreenCycle of Indiana, where it will be turned into natural fertilizer. -Three Butler students won the prestigious Fulbright English Teaching Assistantship award to teach in another country during the 2015–2016 school year. Vocal performance major Julie O’Mara ’15 will be teaching in Germany, Anthropology and Spanish double major Léa Levy ’15 will be in Colombia, and Amber Zimay ’15 will be in Mexico. In addition, Madison Chartier ’15 will be heading to France as part of the Teaching Assistant Program in France, and Jill Gentry '15 has been selected to teach in Madrid, Spain, through the Council of International Educational Exchange. -Butler's women's club volleyball team won the national championship, defeating the University of Wisconsin-La Crosse. 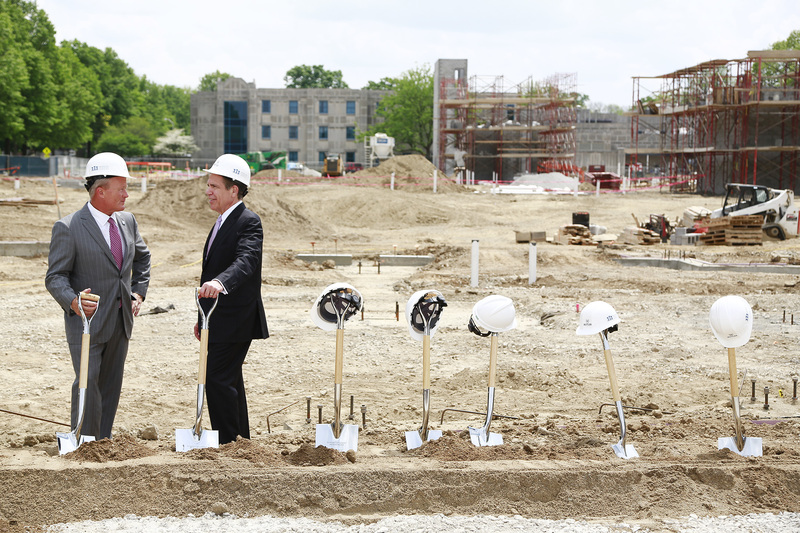 -The University broke ground on a new 633-bed housing facility along Sunset Avenue. The Sunset Student Residences will feature rooms set up in pods of two to six beds, with no more than two students in a room. Each room will have a divider for privacy, and there will be a bathroom for every two students. Each student will have his or her own vanity and sink, and each floor of the building will have a lounge and study rooms. In addition, the facility will have a large multipurpose room that is being described as “a living room for the campus.” The room will be used for conferences, events, and other gatherings. Butler University has made Kiplinger Personal Finance’s list of the best values in private colleges for 2015. The list, which includes 100 private universities from across the country, can be found at Kiplinger.com/links/college. Butler ranked 60th overall—up one spot from 2014. Butler also finished 194th among all schools. This was the first time the magazine put together a combined list. Kiplinger said its rankings "reward schools that meet our definition of value – a high-quality education at an affordable price. Among the factors that we consider: high four-year graduation rates, low student-faculty ratios, reasonable price tags, generous need-based aid for students who qualify and low student debt." The complete rankings include the top schools overall as well as the best values in public schools, private universities and private liberal arts colleges. The rankings will also appear in the February 2015 issue of Kiplinger’s Personal Finance, on newsstands January 6, 2015. Kiplinger’s rankings measure academic quality and affordability. 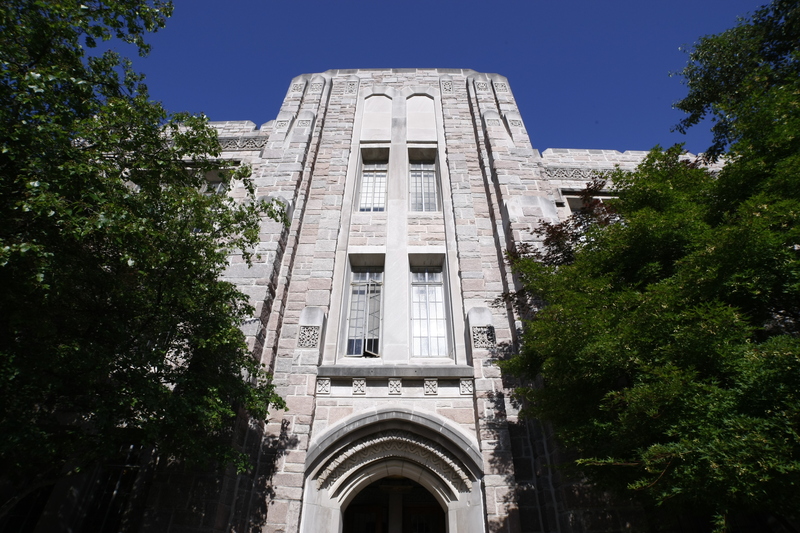 Academic criteria include the student admission rate (the number of students accepted out of those who apply), the test scores of incoming freshmen, the ratio of students to faculty members, and the four- and five-year graduation rates. On the value side, Kiplinger’s measures total cost of attendance, the availability and average amount of need-based and merit-based financial aid, and the average student debt at graduation. This is the sixth time Butler has appeared in the Kiplinger rankings. In recent years, the University was No. 66 (in 2010), No. 84 (2011), No. 73 (2012), and No. 61 (2014). 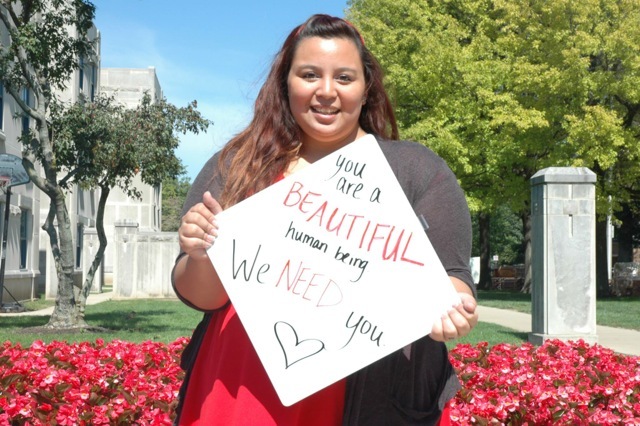 Butler University is among a select group in the six-county Central Indiana area that has earned the Company that Cares distinction for results during the 2013 United Way of Central Indiana annual workplace campaign. United Way awards the designation to organizations that reach their fundraising or participation goal and achieve benchmarks in volunteer community participation, leadership giving, and more. Companies that Care also excel in educating employees about community needs and the best ways to meet them, and exemplify the spirit of volunteerism by allowing employees to give time to United Way programs or its agencies. A United Way representative will present the award at Staff Assembly on Wednesday, October 22. The United Way of Central Indiana said Butler has been a generous partner for more than 20 years. In 1991, the University raised $25,087.52, and contributions have grown significantly since then. 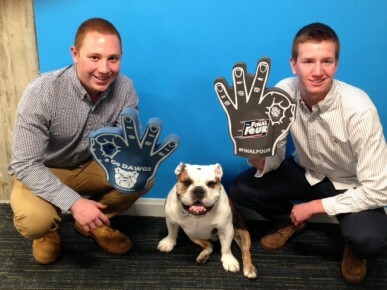 Overall, Butler has raised $595,696.23 over the life of the campaign. The United Way credited 2013 Employee Campaign Chairs James Cramer, Community Engagement Manager for Clowes Memorial Hall, and Jeanne VanTyle, Professor of Pharmacy Practice, for generously volunteering their time and energy to make the campaign such a success at the University. 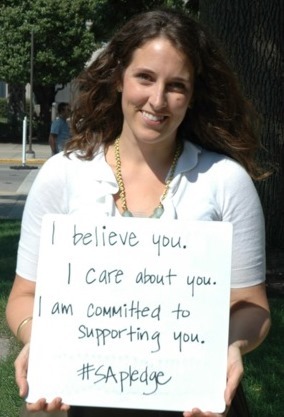 In the last three years, Butler University has received the following awards and recognition from United Way: A Company that Cares (2013), Breakthrough Campaign (2013), Top 200 Companies (2013), Top 200 Companies (2012), and Top 200 Companies (2011). Honorees each receive a showcase sculpture and the use of the Company that Cares logo in communications materials. “For us to be recognized by United Way, an organization that is doing their part to help the community, is a big honor,” said Josh Downing, head of Butler’s Staff Assembly.